The HEPiX forum brings together worldwide Information Technology staff, including system administrators, system engineers, and managers from the High Energy Physics and Nuclear Physics laboratories and institutes, to foster a learning and sharing experience between sites facing scientific computing and data challenges. Participating sites include BNL, CERN, DESY, FNAL, IHEP, IN2P3, INFN, JLAB, Nikhef, RAL, SLAC, TRIUMF and many others. The HEPiX organization was formed in 1991, and its semi-annual meetings are an excellent source of information and sharing for IT experts in scientific computing. First, throughout the 80s, there was HEPVM, a very successful collaboration of the major HEP labs which concentrated on the IBM VM operating system then in common use. In 1988, in a meeting at Nikhef, there was a first attempt by several European labs to create something similar for UNIX. At CHEP in Oxford later that year, Willem van Leeuwen (Nikhef) tried to get some user support for the idea. Unfortunately, these were without apparent success. HEPiX really started at CHEP’91 in Tsukuba, Japan. Representatives from SLAC (Les Cottrell), FNAL (Judy Nicholls) and CERN (Alan Silverman) recognised the possibilities and advantages of learning and mastering the brave new world of UNIX in partnership with other institutes. With HEPVM as a model, they proposed to set up a series of regular meetings with invitation to all HEP labs to discuss issues of mutual concern. They started with 2 Chapters, one in North America, one European, plus a common meeting associated with CHEP conferences. At CHEP Annecy, we decided there was more strength in one world-wide organisation with joint meetings: Meetings to be every 6 months, on opposite sides of the Atlantic plus a meeting associated with CHEP conferences. The very first meetings were actually scheduled alongside those of HEPVM, for example one in Nikhef in 1993 was called HEPmix. HEPiX forms specific groups from time to time to target specific areas. Some working groups may be long-lived, others may exist to perform a given task and then disband. In general the groups will report their activities either through conference proceedings, by issuing news, by publishing documents or by some combination of these. We will maintain mailing lists of people working in such groups as long as the working groups are active. Meanwhile, in 1997, the HTASC sub-committee of HEP-CCC created HEPNT, chaired by Dave Kelsey of RAL to look into the use of Windows in HEP sites. 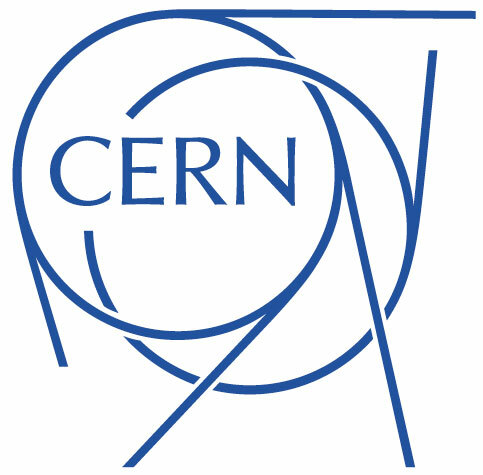 Initially, HEPNT was a closed group by invitation only although they held their first open meeting in CERN in December 1998. Since October 1999, their meetings have been associated with, subsequently merged with, those of HEPiX. The group is intended for High Energy Physics institutes and academic establishments concerned with High Energy Physics. But its activities are not closed and anyone is welcome to participate in its meetings, its maillists, and so on. However, the activities of the group should remain focused on HEP since there are many other forum where general UNIX/Windows topics are covered. Currently, there are over 180 names on the mailing list. ATLAS Great Lakes Tier 2 provides computing and storage capacity for US ATLAS physicists running ATLAS simulations and data analysis. We currently provide more than 4000 total job slots (6600 cores) and 3.7 Petabytes of storage capacity interfaced to the Open Science Grid. Our cluster systems run Scientific Linux 6. Our job scheduling system is Condor and we utilize dCache, Lustre, AFS, and NFS as storage systems. Brookhaven National Laboratory is a multipurpose research institution funded primarily by the U.S. Department of Energy’s Office of Science. Located on the center of Long Island, New York, Brookhaven Lab brings world-class facilities and expertise to the most exciting and important questions in basic and applied science—from the birth of our universe to the sustainable energy technology of tomorrow. What are we made of? How did the universe begin? What secrets do the smallest, most elemental particles of matter hold, and how can they help us understand the intricacies of space and time? Since 1967, Fermilab has worked to answer these and other fundamental questions and enhance our understanding of everything we see around us. As the United States' premier particle physics laboratory, we work on the world's most advanced particle accelerators and dig down to the smallest building blocks of matter. We also probe the farthest reaches of the universe, seeking out the nature of dark matter and dark energy. Thomas Jefferson National Accelerator Facility (Jefferson Lab) is one of 17 national laboratories funded by the U.S. Department of Energy. The lab also receives support from the City of Newport News and the Commonwealth of Virginia. The lab’s primary mission is to conduct basic research of the atom's nucleus using the lab’s unique particle accelerator, known as the Continuous Electron Beam Accelerator Facility (CEBAF). Jefferson Lab also conducts a variety of research using its Free-Electron Laser, which is based on the same electron-accelerating technology used in CEBAF. Lawrence Berkeley Lab was founded in 1931 by Ernest Orlando Lawrence, a UC Berkeley physicist who won the 1939 Nobel Prize in physics for his invention of the cyclotron, a circular particle accelerator that opened the door to high-energy physics. It was Lawrence’s belief that scientific research is best done through teams of individuals with different fields of expertise, working together. His teamwork concept is a Berkeley Lab legacy that continues today. SLAC National Accelerator Laboratory is one of 10 Department of Energy (DOE) Office of Science laboratories and is operated by Stanford University on behalf of the DOE. Since its opening in 1962, SLAC has been helping create the future. We built the world’s longest particle accelerator, discovered some of the fundamental building blocks of matter and created the first website in North America. Our top-notch research facilities attract thousands of scientists from all over the world each year. Along with our own staff scientists, they’re working to discover new drugs for healing, new materials for electronics and new ways to produce clean energy and clean up the environment. SLAC’s revolutionary X-ray laser is revealing intimate details of atoms and chemical reactions and making stop-motion movies of this tiny realm, with the goal of doing the same for living cells. Our scientists are also exploring the cosmos, from the origin of the universe to the nature of dark energy, and developing the smaller, more efficient particle accelerators of the future. The Institute of High Energy Physics (IHEP) of the Chinese Academy of Sciences (CAS) was founded in February 1973. Its predecessor, the Institute of Modern Physics, was founded in 1950, later renamed the Institute of Physics and then the Institute of Atomic Energy, before IHEP was established from Division One of the Institute of Atomic Energy. IHEP is a comprehensive research base for particle and astroparticle physics, accelerator physics and technology, radiation technologies and applications, as well as for nuclear analytical techniques and interdisciplinary research. Academia Sinica Grid Computing TWGrid aims to facilitate the paradigm shift of local scientific collaboration and to expand worldwide collaboration. The Academia Sinica Grid Computing Centre (ASGC) has established a new e-Science research infrastructure by sharing its experience. Based on previous experiences in High Energy Physics and Biomedicine, ASGC applied the collaboration model to other scientific fields and provides technical support to create a domestic e-Science research environment. Founded in 1971, the aim of the National institute of nuclear and particle physics (IN2P3) of the CNRS is to promote and unify research activities in the fields of nuclear physics, particle and astroparticle physics. It coordinates programmes within these fields on behalf of the CNRS and universities, in partnership with CEA. The goal of this research is to explore the physics of elementary particles, their fundamental interactions and the manner in which they assemble into atomic nuclei, to study the properties of these nuclei and to explore the connections between the infinitely small and the infinitely large. CEA is a French government-funded technological research organisation. A prominent player in the European Research Area, it is involved in setting up collaborative projects with many partners around the world. DESY is one of the world’s leading accelerator centres. Researchers use the large-scale facilities at DESY to explore the microcosm in all its variety – from the interactions of tiny elementary particles and the behaviour of new types of nanomaterials to biomolecular processes that are essential to life. The accelerators and detectors that DESY develops and builds are unique research tools. The present research programme of the Institute encompasses physics of elementary particles, condensed systems, solid state, plasma physics, and classical and quantum optics. The research in elementary particle physics is carried out mostly within broad international collaborations.‭ ‬We participate in experiments at the large accelerators at CERN near‭ ‬Geneva in Switzerland and at Fermilab in the‭ ‬USA,‭ ‬where‭ ‬the deepest structure of matter and‭ ‬forces governing the microcosm are studied.‭ ‬Closely connected are our activities in the development of particle detectors. Research with the GSI accelerator facility GSI operates a large-scale worldwide unique accelerator facility for heavy ions. Researchers from all over the world use the facility for experiments to gain new insights about the building blocks of matter and the evolution of the universe. In addition they develop new applications in medicine and technology. Founded in 1971, the aim of the National institute of nuclear and particle physics (IN2P3) of the CNRS is to promote and unify research activities in the fields of nuclear physics, particle and astroparticle physics. It coordinates programmes within these fields on behalf of the CNRS and universities, in partnership with CEA. 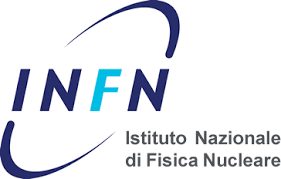 The National Institute for Nuclear Physics (INFN) is the Italian research agency dedicated to the study of the fundamental constituents of matter and the laws that govern them, under the supervision of the Ministry of Education, Universities and Research (MIUR). It conducts theoretical and experimental research in the fields of subnuclear, nuclear and astroparticle physics. All of the INFN’s research activities are undertaken within a framework of international competition, in close collaboration with Italian universities on the basis of solid academic partnerships spanning decades. LAPP (Laboratoire d’Annecy-le-vieux de Physique des Particules, UMR5814) is a high energy physics laboratory located in Annecy le vieux, 50kms from Geneva. The lab was founded in 1976 by Marcel Vivargent and is one of the 18 laboratories of IN2P3 (Institut de Physique Nucléaire et de Physique des Particules), institute of CNRS (Centre National de la Recherche Scientifique). It is also a member of Université de Savoie. Close to 150 people are working at LAPP: researchers, professors, support staff, students and visiting scientists. They work in close contact with phenomenologist teams from LAPTH, a theory laboratory hosted in the same building. The location of the laboratory – 50 km from CERN – makes LAPP an ideal place for people willing to contribute to LHC physics. An international center for high energy physics (CIPHEA) has been set-up to develop collaborations on the themes accessible with LHC. NDGF Tier1 is one of 11 regional computing centres of the Worldwide LHC Computing Grid – the huge international e-infrastructure built to provide computing and storage for the CERN. This Nordic solution is unique in being distributed across four countries: Denmark, Finland, Norway and Sweden. Nikhef is the National Institute for Subatomic Physics. Our research is aimed at particle and astroparticle physics. Scientists and technicians work together on research into the smallest building blocks of matter and the forces that act between them. These minuscule particles are studied in collision processes using large particle accelerators, including those of CERN near Geneva, as well as in interactions of high-energy cosmic particles in the Earth's atmosphere or in seawater. Rutherford Appleton Laboratory Operated by STFC and located on the Harwell Science and Innovation Campus in Oxfordshire, it provides a thriving and collaborative environment for research in: particle physics, space science, materials, astronomy, photon science, computational and e-science, biology, biomedicine and chemistry Approximately 1,200 staff at RAL support the work of more than 10,000 scientists and engineers, chiefly from the university research community. RAL’s pioneering research in areas such as energy, security, healthcare and the environment addresses important challenges facing society. Our group has been designing, constructing, and operating accelerators and detectors for subatomic physics for more than fifty years. Today we no longer have a major accelerator on site, instead we collaborate with other universities and organisations (such as CERN, the European Laboratory for Particle Physics) to produce world-leading experiments. HEPiX forms specific groups from time to time to target specific areas. Some working groups may be long-lived, others may exist to perform a given task and then disband. In general the groups will report their activities either through conference proceedings or by issuing news or by publishing documents or by some combination of these. We will maintain mailing lists of people working in such groups as long as the working groups are active. To add your name to a list, see the descriptions of the groups below and contact the convener of the one(s) which interest you. (But remember that most groups will make their results public at the appropriate time so joining an interested party list is not necessary just to get access to the results of the work of any group.) Group details are below and further working documents are available on the wiki"
The objective of this newly-formed working group is to provide guidance on a community-driven effort to employ and support a common set of batch monitoring solutions. Current activities include investigating HTCondor monitoring tools presently deployed, documenting features of existing solutions and making recommendations on best practices. The working group investigating Benchmarks. The current task is twofold; firstly to find a replacement for HEPSPEC06 and secondly to suggest a fast benchmark that can be run at the beginning of a job. The working group forming to respond to a request by the DPHEP collaboration for advice on technical matters of bit preservation. The working group was created to share information, experiences and where possible code, amongst sites using various config management solutions. Currently in 'Observer Mode'. The working group was created in April 2011 with the following aims: first, consider whether and how IPv6 should be deployed in HEP (especially for WLCG), then propose a timetable and consider the implementation plan (e.g. advice on end system and firewall configuration) during transition period. At the Fall 2009 Berkeley meeting, a Virtualization Working Group was set up chaired by Tony Cass (CERN). The group completed its mandate, gave a final report at the Beijing meeting (Fall 2012), and wound down. This site is meant to reflect some of HEPiX activities in the field of storage technology. Apart from a collection of past presentations, one may consult here the pages of the HEPiX/IHEPCCC Storage Working Group. The Group was aiming to provide information and practical advice on storage solutions for participating institutions and beyond; the group was closed down quite some years ago. Helge Meinhard of CERN was appointed European Co-Chair at our Spring 2012 Prague meeting, replacing Michel Jouvin of LAL IN2P3. Tony Wong of Brookhaven National Laboratory was appointed North-American Co-Chair at the Fall 2014 meeting in Lincoln (Nebraska), replacing Sandy Philpott of Jefferson Lab. The principal role of co-chair is to coordinate the preparation of their respective North American and European HEPiX meetings, helping the local organizers to establish the agenda, the choice of convenors and make sure that the working groups will present their reports during the meeting. They are also working together on all common HEPiX subjects. Co-Chair appointments are for the period of 3 years, and renewable for one additional appointment. Deutsches Elektronen-Synchrotron DESY is a Foundation under German Civil Law. DESY takes the protection of personal information seriously. 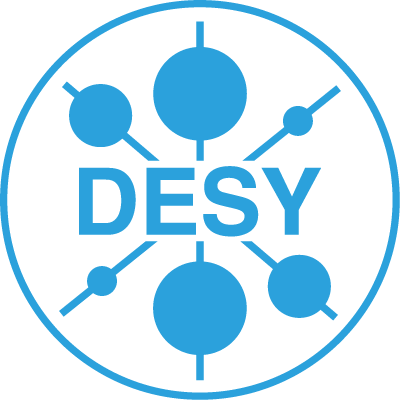 DESY undertakes to protect the private sphere of all persons using its website and to treat any personal information provided in strictest confidence. The information is solely used for the respective purposes given and will not be passed on to third parties. It will be deleted as soon as it has served the given purpose. To facilitate navigation etc., cookies are created on your hard disc. You can prevent the saving of cookies by selecting no cookies in your browser settings. To see how this functions in detail, please read the instructions of your browser manufacturer. Selecting no cookies can lead to functional restrictions. Your web browser or client software may transfer information without your knowledge via your computer (for example IP address) to our server. Such information is never brought in direct connection with you, but is evaluated in anonymous form for statistical purposes for system management or to improve the efficiency of our internet platform.